(CNS): Officers from the Uniform Support Group seized a gun and arrested two young men in the early hours of Sunday morning, the RCIPS has reported. Police said that at around 3:41am on 5 February armed officers were on routine Patrol in the Windsor Park Area when they recovered a handgun following a search. 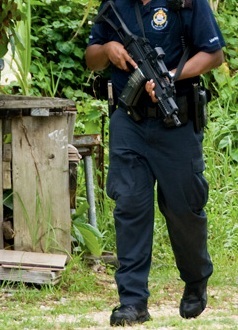 Police did not indicate where or why the search took place but stated that a 24-year-old man and a 16-year-old boy were arrested on suspicion of possession of an unlicensed firearm. Both men remain in custody pending enquiries. (CNS): Red Bay Primary school is boasting such a significant success with is on campus vegetable garden that the students are now able to take home the fruit of their labours. The Gardening Club is run by Paulette Williams, a support assistant at the school and Simone Ross the art teacher, boasts tomatoes, lettuce, rosemary, black mint, seasoning peppers, callaloo and scotch bonnet to name a few. “The children have become so enthusiastic about the Gardening Club they are asking their parents to start a garden at home,” said Williams, who has a passion for gardening and began the initiative at the school. Meanwhile, the Brownie Troop at Red Bay Primary is also giving the gardening club a run for its beans so to speak as the group led by Dawn Largie is also doing well and teaching the girls how to grow their own produce and to promote healthy eating. 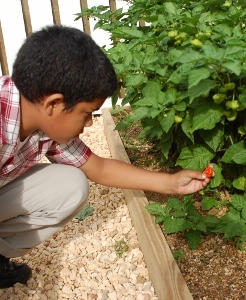 “The garden is a great way for students to learn responsibility and to demonstrate care and nurturing,” Largie said. The plant boxes for the Brownie Garden were donated by Webster’s Tours and the owner Kenneth Webster said when the company out to help they were inspired to create their own backyard garden. “It is truly amazing the produce they grew,” he said. (CNS): Government officials have said that they are hopeful that Cayman will be removed from an employment blacklist in the Philippines following the visit of a number of delegates from the Asian country last week. The Philippine delegation came from Washington seeking “evidence of concrete and positive measures on the protection of migrant workers” here government information services revealed in a release on Friday. The Philippine government certifies host countries which they determine are in compliance with the protection of migrant workers but last year Cayman was placed on a black list prohibiting Filipino nationals from working here. During the visit the delegates made enquiries about the local labour and social legislation, evidence of Cayman being signatory to international labour standards, and statistics or judgements relating to Filipinos. In turn, they were provided with copies of several relevant laws and other documents, local officials stated. The delegation sought to assess the employment and consular needs of Filipinos living here and included Labour Attaché Luzviminda Padilla, Attaché Sofronio Cortel and Welfare Officer Saul DeVries. The group met with Governor Duncan Taylor, Deputy Governor Franz Manderson, Attorney General Samuel Bulgin, Portfolio of Internal and External Affairs’ Chief Officer Eric Bush, Chief Immigration Officer Linda Evans and Department of Employment Relations Director Jennifer Smith and attended a lunch hosted by the Chamber of Commerce. This visit follows a Consular Outreach Mission to the Cayman Islands last December by representatives of the Philippine Embassy in Havana, Cuba. 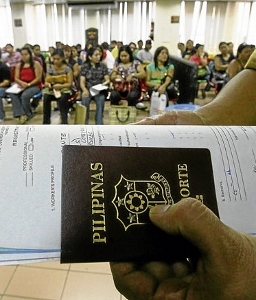 At that time, 299 Filipinos took advantage of the opportunity to regularise travel documents and address issues such as passport renewals and replacements, validity extensions, and applications for reacquisition of Philippine citizenship. 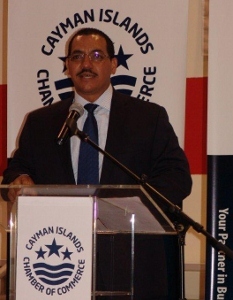 Officials also stated that the British Embassy will be following up with the Philippine authorities and representing the Cayman Islands’ concerns regarding the blacklist. (CNS): The UK is planning on creating a new programme to address what it believes is the vulnerability of its territories to the most severe ecological impacts of climate change. The British government believes this vulnerability presents a potentially huge contingent liability, which will fall “to the UK taxpayer if action to prevent, mitigate or adapt to the impacts” is not taken. Following the recent forum in Grenada the UK's DFID has put together a proposal to develop a programme for the territories. Cayman was noted as being one of three territories vulnerable because of thin water lenses and decreasing fresh water availability. "Those territories, islands which are predominantly of limestone and coral formation such as British Virgin Island, Turks and Caicos, Cayman have thin water lenses and decreasing fresh water availability and are therefore highly sensitive to sea-level rise and changes in rainfall distribution,” the Department for International Development has stated in its report. The UK wants to promote a low carbon climate and has indicated there will be financial and technical support available to different territories, dependingon criteria such as their eligibility for Overseas Development Assistance and the UK government’s willingness to assist. “The business case shall develop a logical, justified and differentiated approach to what type and amount of assistance should be made available to which territory and why,” DFID said, adding that some territories have a higher per capita income than the UK and would therefore not deserve financial assistance. Acknowledging the diversity of the OTs in terms of size, population, economic activities and GDP the UK said that they range from the fragile, environmentally dependent subsistence economy of the Pitcairn Islands “to the more robust economies of Bermuda and Cayman Islands” based on tourism and offshore financial services. But the UK believes there is “logic to providing a generic framework in form of one business case with targeted selective areas of action for individual or groups” as they share characteristics making them vulnerable to climate change. The plan aims to address how the territories can be best equipped to deal with existing climate related risks and prepare for future changes via one of four possible approaches which are to be explored and analysed by UK experts. “The suggested implementation options must take into account that all OTs face capacity constraints and should spell out how the programme will avoid creating a management burden on the territories,” DFID said. (CNS): Officers from the RCIPS Financial Crimes Unit are issuing more warnings about internet and telephone scams. On Friday the police said they had received numerous reports from members of the public who stated that they had received telephone calls from an individual who purported to be calling on behalf of Microsoft Virginia. 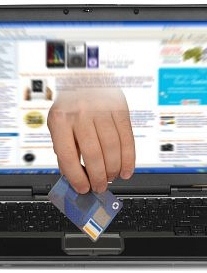 The caller told the victims that they had downloaded viruses and offered to assist them in removing the viruses for a fee which could be paid in instalments from $100 – $300. Not surprisingly, the calls were bogus and Microsoft has confirmed that no one from the company would contact customers on the phone. Just one in the latest long line of scams, the public is being urged by the FCU not to give out their credit card/bank details or e-mail addresses over the telephone. Anyone who requires further information in order to protect themselves from becoming a victim of this scam should contact the Financial Crimes Unit at 949-8797. (CNS): Two ships on eastern and southern Caribbean cruises were forced to make an early return to their homeport in Fort Lauderdale, South Florida this weekend following the outbreak of the norovirus, which is a highly contagious stomach flu virus. According to various new reports, more than 480 people on the Crown Princess and the Ruby Princess were stricken with the bug. Norovirus, which triggers gastroenteritis, is spread easily by person-to-person contact, especially through items they touch, such as food in buffets, and by water and food contaminated by human waste. 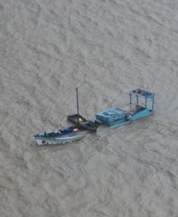 Both ships are believed to be undergoing complete disinfection. All cases of the virus must be reported to the Centers for Disease Control and Prevention (CDC) in Atlanta and a report must be prepared if the number of passengers exceeds 2% of the total number of people on board. Both ships have exceeded the 2% level and will have to undergo rigorous cleaning procedures before they will be able to embark for their next cruise. 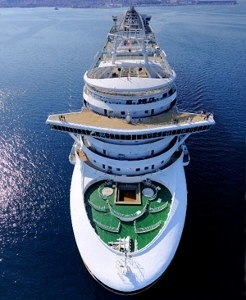 Nirovirus is usually associated with cruise ships because of the mandatory reporting and the confined nature of a cruise ships where it is easier for the virus to spread. The outbreak on the two Princess ships comes less than a month after the Italian cruise ship, Costa Concordia, ran aground off the coast of Giglio when seventeen people died and another 15 remain missing and presumed dead. (CNS): The first government worker to be charged under the anti-corruption legislation has denied that she abused her position as a member of the RCIPS civilian staff. Patricia Webster appeared in Grand Court on Friday morning and denied using both the police and immigration confidential data-bases to discover if an individual was under investigation and to find a phone number and personal information of another that she passed on to a third party. Webster, who was employed as a police receptionist, pleaded not guilty to the four counts which allege she both misconducted herself and abused her office when she searched confidential data bases. The prosecution contend that Webster made illegal searches between April and August last year and have charged her with two counts of abuse of office and two counts of misconduct in a public office. Following her not guilt pleas Webster was bailed until the 30 July for what will be the first trial of a public sector worker under the new law. The anti-corruption legislation came into effect at the beginning of 2010 and covers a range of issues, from bribery and corruption to fraud and misuse of power. Webster is the first and only person to be charged so far under the legislation but a former board member of the National Housing Development Trust was arrested under the law last year. The George Town man was arrested on suspicion of breach of trust and abuse of public office, as well as suspicion of obtaining property by deception, in connection with the East End affordable housing project. No charges have been brought in the case but investigations into the allegations which relate to the sale of insurance to the home buyers is ongoing and the 59-year-old man remains on police bail. (CNS): Employers who break the labour laws are being warned that they could lose their business licenses with the emergence of the long awaited new regime at the Department of Employment Relations. The division into two distinctive departments, accompanied by what the labour minister, Rolston Anglin, described as “massive legal reform”, has been in the works for over a year and the split, he said, will make it easier to bring employers currently flouting both the pensions and labour laws to account. Mario Ebanks has now been appointed as director of the new Labour and Pensions agency, which will focus on employer compliance with the relevant laws and is intended to heraldin a new era of fairness in the workplace. “At the moment people are incentivised to break the law,” Anglin said. The penalty process when it comes to the payment of pensions is so long and drawn out, the minister said, it didn’t make sense to simply employ more pensions inspectors to try and follow up the 600 plus reported infringements of the law. Instead, government will be putting in place an administrative regime that will allow people to be brought to account. It will also allow inspectors to go to the employer following a complaint and give the employer, if found in contravention of the law, an on-the-spot fine. Anglin said the new penalty regime would be sufficiently robust to prevent further infringements by the employer because the department would be working in close tandem with the Trade and Business Licencing Board to ensure that habitual offenders would not get their licences renewed. Anglin explained that government would be on guard against offenders shutting up shop and applying for a brand new licence. Speaking to CNS Business at the Chamber Expo on Friday, the minister said that it had been an important focus for the government to split what he saw as two distinct sections – one that dealt with the regulatory and compliance side of employment relations and one that promoted the development of individuals to move forward in their careers. The minister said a lot work had been going on to remedy what he called long standing “failures and inefficiencies” of the current structure of labour-related functions. He explained that the new system will allow for proactive workplace inspections and promote compliance with labour and pension legislation with minimum inconvenience to good employers. With the retirement of Jennifer Smith from the DER, Ebanks has been appointed director of the new enforcement agency and he returns to the civil service with years of human resource and consultancy experience from both the public and private sector. Anglin said Ebanks would be bringing a unique skill set and wealth of experience. A recruitment process will also start for a deputy post to oversee the labour functions of the new labour and pensions department. 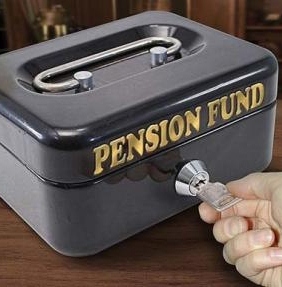 A major revision of the National Pensions Law is also nearing completion. Ebanks said labour and pensions are critical services and he had a long standing interest in the issues as well as a history working on government labour reform. He said he was looking forward to working closely with the various professional and trade associations and with fellow HR professionals in a partnership to “effect transformative strategies which enhances workplace productivity, safety and tranquillity,” he added. Rodrigues said the changes had already been accounted for within the ministry’s budget for this financial year and would not be new costs.